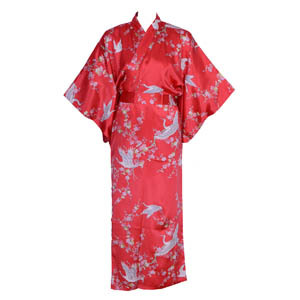 A comfortable ankle-length silk kimono, ideal for wearing as a dressing gown. The easy to wear gown has a popular crane and plum blossom design. Length: 142cm (56"); fits girth up to 112cm (44").